How do you properly onboard new partners on market development funds (MDF)? The success of an MDF onboarding process is determined by the level of internal motivators the channel organization is exposed to. Initially, new partners do not produce revenue, hence this often results in the partner account manager viewing onboarding as someone else’s responsibility. However, partners already handle more than eight product lines on average, so you’ve got to grab their attention early. If you fail to get new partners enabled and actively selling during the first 90 to 120 days after they are recruited, the partnership is likely to fail. Start the onboarding process during the partner recruitment process. Before your organization and the partner sign a partner agreement, you both must come to a mutual understanding about the expectations of the partnership when it comes to MDF. This goes a long way toward ensuring a positive partner experience. One of the keys to maintaining partner mindshare is ease of doing business. Therefore, the entire MDF onboarding process must be streamlined for speed, efficiency and accuracy. Take time with the partner to identify the MDF points of contact within your organizations and ensure that these individuals are committed to launching MDF by building the joint business/action plan. Introduce partner marketing teams to the marketing resources and assets available for them to use. Show the partner how to gain financial support for relevant marketing programs, if applicable. This support ensures that they are adequately prepared to build a joint marketing plan with the supplier. During the MDF onboarding process include partner enablement that goes beyond product and sales training into partner marketing certification. This helps the partners effectively execute on your MDF programs. A marketing certification program provides partners with the necessary skills to sell your solutions. Yet, getting partners to participate in learning tracks requires a concerted engagement effort and then you must lead them to the specific tracks they need. You can also leverage marketing certification as a tool for raising partner commitment levels, for example, using marketing certification as a prerequisite for MDF. Just be sure to keep in mind that only 10% of partners actually have a dedicated marketing resource. Most only have a marketing role: someone who does marketing in addition to other job duties. The partner’s marketing associate or role is a new persona to incent in the vendor/partner relationship because these partner marketing individuals lack the sales and marketing skills to sell your solutions. Therefore, you must first identify, tag, and engage these individuals to increase their marketing skills and ensure proper execution. Incentives are a proven way to drive partner engagement and accelerate a new partner’s ramp-up time, especially during an MDF program roll-out. first sale, number of employees certified). You should also elicit participant feedback to identify areas of improvement and watch for early signs of partner dissatisfaction, so you can take immediate actions to address problems. Internal and external communication and collaboration are key to properly onboarding your organization and your partner community on your MDF program. A defined communication strategy ensures that the right messaging and content gets to the right people at the right time and with the right cadence. It is just as important that the communication be two-way; partners need to feel that suppliers listen to and respect them. By the end of the last stage in the MDF onboarding process, a new partner should have acquired the knowledge, skills and behaviors needed to profitably market and sell the supplier’s offering. Long tail partners are the fair-weather friends of the channel. Channel strategist Claudio Ayub explains how to use a referral program to engage these partners. Professional services partners such as accounting firms or marketing agencies are a fast-growing route to market. Channel strategist Claudio Ayub explains how to engage this group. If you're having partners self-profile, won't they always really stack the deck and exaggerate their capabilities? How would you recommend people address that? Looking for an effective channel partner incentive? Channel strategist Claudio Ayub says to start by offering choices targeted to the audience you want to engage. Channel strategist Claudio Ayub explains how to build a relationship with your distributors that will set you apart from the crowd. Behavior-based models are the future of channel incentive types and programs. While one might think that the Cloud makes channel partners unnecessary, the model doesn’t change. It’s the partner type that changes. Marketing certification programs have strong value for your partners but getting them to see the value can be a challenge. Channel expert Claudio Ayub explains how to get past this road block. Even when it appears there is not a dedicated marketing associate at your channel partner’s company, there is. And that person will be interested in your marketing certification program. Wondering how to increase channel marketing automation tool use? 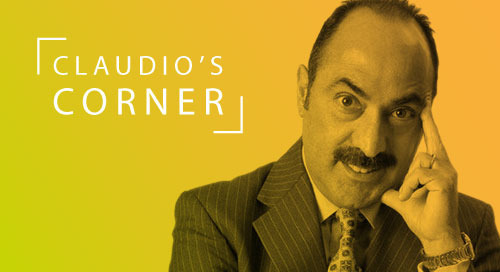 Channel strategist Claudio Ayub explains how a marketing accreditation program will save the day. Channel strategist Claudio Ayub explains how to correlate points for activities to results in sales using a points-based rewards program. What’s the deal with the legal issues around reloadable debit cards? Learn how a points-based channel rewards program can address the legal and compliance issues surrounding reloadable debit cards used to pay for SPIFFs. How to incent individuals within a partner organization? With a points-based channel rewards program you can incent on the company level and the individual level. How does this work without partner management interfering? Claudio Ayub explains.